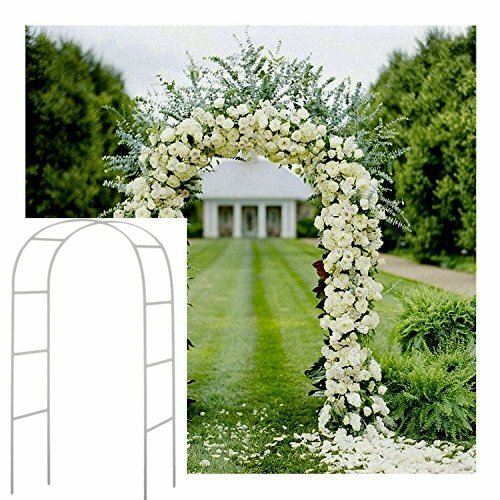 Description: The garden arch is perfect for supporting lightweight climbing plants and vines or for displaying small hanging accents. It can easily transform your garden into a colorful display with various flowers. Made with weather resistant powder coated iron, it will stand up to the elements. It comes with instructions and you can assemble it easily. 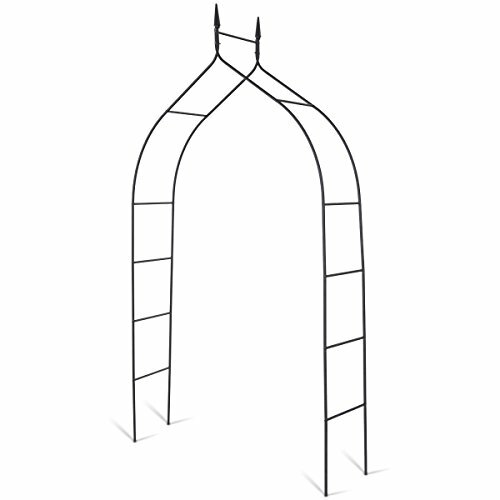 Moreover, the garden arch is strong enough with its sturdy steel frame to support several hanging items even with their fruits, such gourds, beans, raspberries etc. Installation Notes: 1. Check carefully whether there are missing or damaged parts when open the package, contact the seller immediately if needed. 2. Please carefully read the installation guide before setting up, common tools such as flat cross screwdriver are needed to be prepared. 3. Please check the information on the guide carefully to avoid confusion of the similar parts. 4. 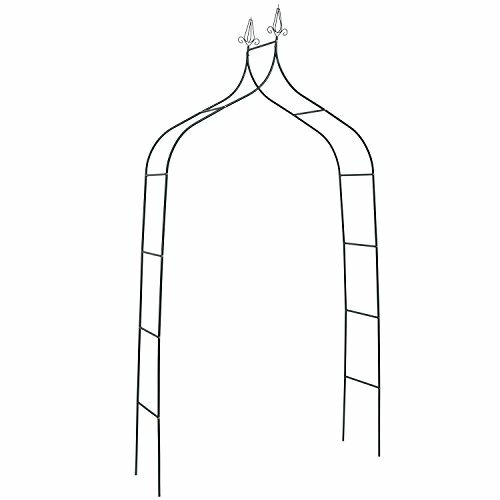 Arch installation is better to be carried out by two people, which is extremely simple. 5. Tighten screws only when all the parts are placed in right position. 6. Keep small parts out of the reach of children. 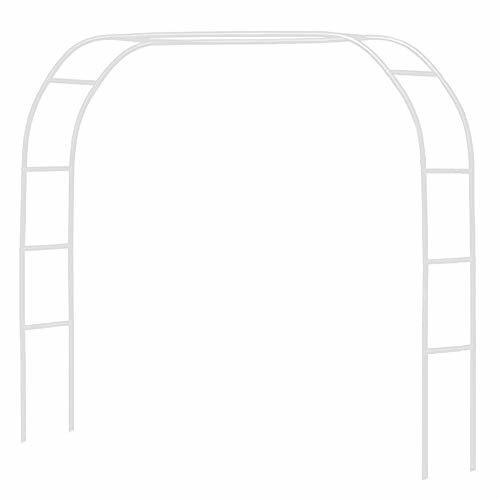 Children can not climb up the arch when finished assembling. 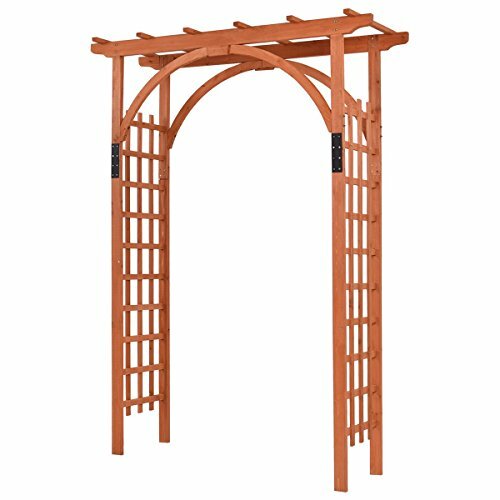 The Arboria Nantucket Garden Arbor combines a soft curve header with the traditional angularity of the gable for a Craftsman style look. 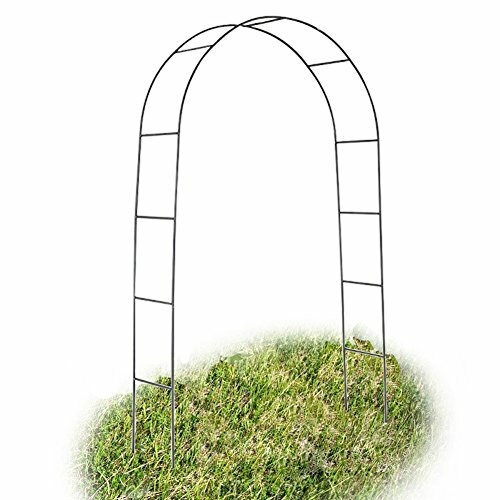 Use this arbor at an entryway, gateway, or anywhere your landscape needs a special touch. 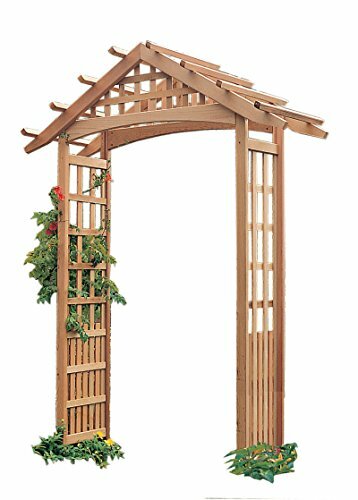 Made with strength and durability in mind, this garden arbor features a trellis with lattice panels that are double fastened at every joint and set into channels. 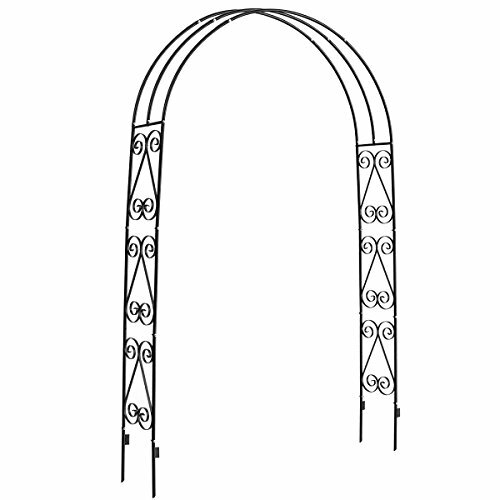 For stability, 4 galvanized steel anchors are included to secure the arbor into cement and keep it in position. 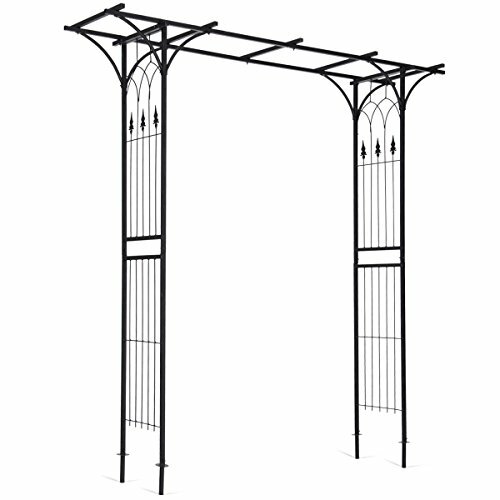 This large arbor measures a total of 97 inches high by 29 inches deep after assembly and has a clear opening of 47 inches to accommodate wider walking paths. Made of top quality western red cedar, this arbor is naturally resistant to rot and pests. Wood arbor can be left to naturally patina or can be stained to the color of your choice. The Arboria Nantucket Arbor offers authentic architecture and quality construction at a modest price.